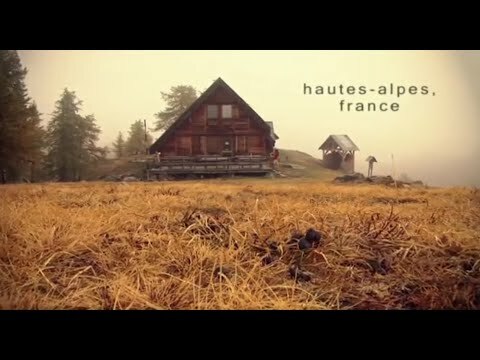 One of the very best areas in France to snowshoe in the mountains. The tiny ancient hamlet of Névache is situated in the Vallée de la Clarée, a truly beautiful base for a week of exploring the surrounding snowy summits and Cols. The very name 'Névache' means 'snow covered' and the area is known for having the best snow cover in the Southern Alps. We also aim to spend one night in a mountain refuge which, in itself, is a wonderful opportunity to enjoy the mountains 'up close' in all their glory. Visit a remote valley that is something of a secret! This is without doubt one of our favourite snowshoe destinations. It is one of those hidden gems that you stumble across and then wonder why on earth you haven't visited before. The community here is quintessentially French in terms of culture, food, and tradition. It is a quaint and ancient community that really does feel like a haven of tranquility. Nevache is a lovely quite small village with some wonderful opportunities for snowshoeing. In particular, the ascents of the Col des Thures, the Col du Raisin and the Col du Chardonnet stand out, all offering wide open vistas and plenty of energetic expeditions on our snow shoes. As always, the back-up administration and guiding worked flawlessly, leaving all participants free to enjoy the snow during the day and a glass of wine in the evening. We meet this evening at our accommodation when your guide will be available to discuss the itinerary and answer any questions about the week ahead. Advice on how to travel to Nevache is given in the 'Arrival & Departure' section of the Trip Information. This morning we will head in the opposite direction to our outing yesterday and we will head down the valley. A very short distance later we will arrive at the parking and begin our day. Our objective will be the beautiful high combe that leads to our ultimate goal the Col des Thures. The first impression of the Vallee de la Claree is of a mediteranean landscape covered in snow! We pass limestone crags, and pine trees that seem more familiar to the coast. Our will follow a side valley from above Névache village where we climb steadily through the snow covered trees on an easy angled track. The trail eventually takes us along a gorge featuring stunning spires of rock rising above the pines. We then head up through the treeline allowing us access to the Col at 2194m (7196ft), which sits just above the snow and ice covered Lac Chavillon. Today we climb to the famous Col de l"Echelle which is a mountain pass between France and Italy, and is know in Italian as Colle della Scala. It connects the Vallée de la Clarée and the Vallée Étroite. We begin from the hamlet of Roubion which sits at 1300 metres (4264ft) and climb steadily to the high point at 1762 metres (5779ft). On the way we pass the ancient Chapel of Saint Hypolite, and then just before the Col the Notre Dame de Bon Secours, this roughly translates as 'Our lady of Good Rescue'. This is a really lovely walk and although in the summer months it is a busy mountain road, in the winter it is covered in a blanket of snow and is only accessible for those who make the effort to either ski or snowshoe to this panoramic viewpoint. Below us we have views to the town of Bardonecchia, and to our left a narrow valley dominated by Mont Thabor which reaches 2178 metres (7143ft). We leave today from Fontcouverte and climb steadily through the forest until the clear ground below the Refuge du Chardonnet, at 2227m (7304ft). From the terrace of the Refuge we can enjoy a coffee and the views. The terrain is impressive with mountains towering on either side, and there is a small snow covered lake just beyond the Refuge the Lac du Chardonnet. Hidden behind the ridge line are the Ecrins mountains to the west, and the peak of the Grand Galibier. This peak sits above the Col Galibier of Tour de France fame. After a break at the Refuge we will begin our descent back to the valley. There are many local routes in the Vallee de la Claree to choose from, such as the Chalets des Acles. This is a gorgeous valley which is less frequented than others. We begin at Plampinet where we take a steep but steady trail through the pines. On our way we pass the Oratoire Saint-Roch, and then reaching some clearings we arrive at the old farm buildings of Chalet des Acles which are grouped around an ancient chapel. After enjoying our picnic lunch and taking in those final high mountain views of this beautiful part of the world we will descend for our final night and cosy dinner in our ancient hamlet of Nevache. Today we begin our two day adventure in the mountains. We have a later start from our hotel this morning, time to enjoy breakfast, and a relatively easy day as our goal is the easily accessed Refuge de Buffère. The trail to this lovely rustic Refuge is normally very good as they use a snow-mobile to re-stock the Refuge and the path will be pressed down. A steady climb through the pines takes us to the refuge where we will be spending the night. The Refuge prides itself on its excellent meals made with local or organic food. It also likes to offer its guests locally brewed beers, perhaps some home made Génépi, or their delicate liqueur made from Edelweiss! Now, that's an interesting proposition Edelweiss liqueur? This is a day to savour and relax. Of course, if you want to do more you can spend the afternoon exploring the area around the Refuge. This morning we will leave our cosy Refuge and explore the ground beyond as we make our way to the Col de la Buffère. This is an excellent goal for our day in the mountains and one which offers excellent views to the massif of the Ecrins mountains. We begin by wandering through the larch trees that are scattered just above the Refuge, however, the terrain soon opens out and we have a wonderful large valley to enjoy. The trail is very steady as it makes its way to the Col de la Buffère which sits at 2427m (7960ft) and where, weather dependent, we will aim to eat our picnic lunch. After savouring the views we will descend back to the Refuge for a hot drink before descending back to the village. Our trip fees are based on two people sharing a room. If you are travelling on your own your booking will be based on a twin bedroom sharing with someone of the same gender. With regard to the accommodation in Nevache, if you have requested a 'single' room, which will incur a supplement, then please note that 'single' rooms are very limited in number. Therefore if you are considering this holiday and would like a bedroom to yourself we would urge you to get in touch as soon as possible so that we can secure the best options. If you would like to know more about the accommodation please contact us. Claudine, Olivier and their daughters have been welcoming travellers and walkers to their gite for more than 15 years. This family run accommodation is a cosy venue for our stay in the village. At La Découverte Claudine cooks tasteful and hearty dishes with fresh and seasonal products. Olivier is always available to provide information about walking or snowshoeing itineraries, weather forecasts, or local life. The bedrooms are either twins or doubles with private facilities. The double rooms have a sink, shower and toilet, and the twin rooms have a sink, and shower. 'Gite' style accommodation is usually basic, but comfortable. In Nevache, due to the nature of this tiny community, there is very limited accommodation. We believe we have a good base for our week with Olivier and Claudine. This really is a gorgeous Refuge and very comfortable. The Refuge prides itself on its excellent meals made with local or organic food. It also likes to offer its guests locally brewed beers, perhaps some home made Génépi, or their delicate liqueur made from Edelweiss! Now, that's an interesting proposition Edelweiss liqueur? Some bedrooms are available rather than the normal dormitory refuge style. This requires early booking on your behalf. There are various options for getting to the area. Briançon is the nearest large town, a UNESCO World Heritage site, and itself worth visiting. It is about 30 mins drive from Névache. If you fly to Turin, Italy, we will collect you at the airport, and take you to your accommodation. This will be at a time to suit the majority of the group, but no later than 16h30 on the arrival day. The transfer time is approximately 2h15. You can also take the TGV train from the UK and from various major cities in Europe, to Briancon. From Briançon you can take a local bus or a taxi to your accommodation. Another major train station is at Oulx which on train timetables is often called Oulx-Cesana-Clavière-Sestrières, in Italy. This is serviced by the French TGV. See Rail Europe and the Tourist Office, at Briançon, which gives various ways of getting to Briançon. From Briancon or Oulx you can take a local bus or a taxi to your accommodation. Early arrivals can either wait at the airport, or if enough time allows make use of the 50 minute Turin Eco City Tour detailed on the Turin Airport website. A transfer back to Turin airport, in Italy is included. We will leave your accommodation in time to reach the airport by 1100hrs. Your flight back from Turin should ideally be from 13h00 onwards on the departure day. Please get in touch if you would like to discuss flight and transfer times. When booking a holiday as a solo traveller a twin bedded room comprising of two single beds, is booked as standard. This will be with someone of the same gender unless you request to pay extra for your own room. Single rooms are often limited in supply so if you would like to pay a supplement for a single room we urge you to get in touch as soon as possible. This trip has a single supplement of £200. This is for you if you would like to walk in the mountains in winter, but your experience of snowshoeing is limited or zero! On these trips full instruction is given on snowshoe technique and equipment. In reality you just need to be able to walk, it is that easy. However, we will be walking in the mountains and we expect that you take regular exercise and have a reasonable level of fitness. We will walk on a variety of terrain from flat to undulating, most of the time we will be walking on a trail, but if there is fresh snow we will enjoy making our own track. We will reach an altitude of up to 2000m (6560ft), but we will sometimes take a cable car to get there. We may complete ascents/descents of between 300–500m (984-1640ft) with one longer day of up to 700m (2296ft). Expect to be out on the mountain for between 4 – 6 hours per day. NB: We have graded this trip 'Moderate', but it will also suit those walkers who like slightly longer days. For those looking for a more relaxed approach the itinerary features several days when we go Refuges when you can opt to do a half day and rest at the mountain refuge for a few hours, while the rest of the group goes on. Our base in Névache is so lovely that you may also choose to take a day off and explore the valley. On all our trips in the Alps we use snowshoes made by TSL. We find they are versatile and well-designed for the job. 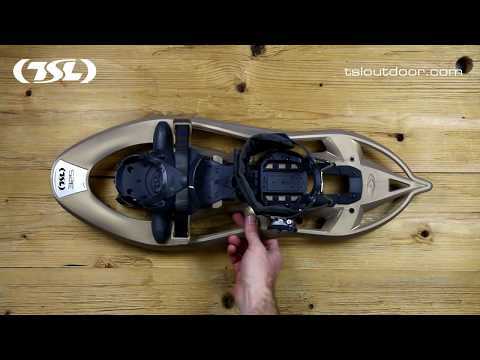 This link shows the 'Excursion' model which is similar or the same as the snowshoes you will use. There is now a huge range of models produced by TSL and all have slight variations on the design. It's a whole new world!